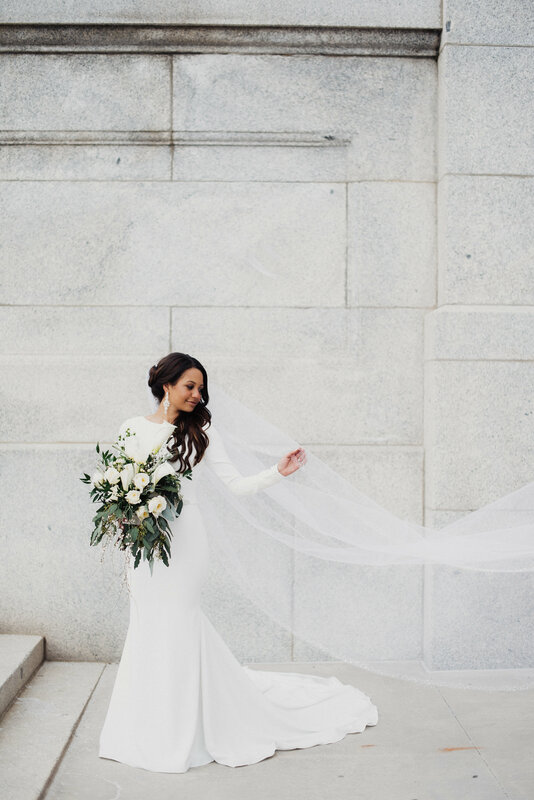 Meet our Bitsy Bride, Stephanie. 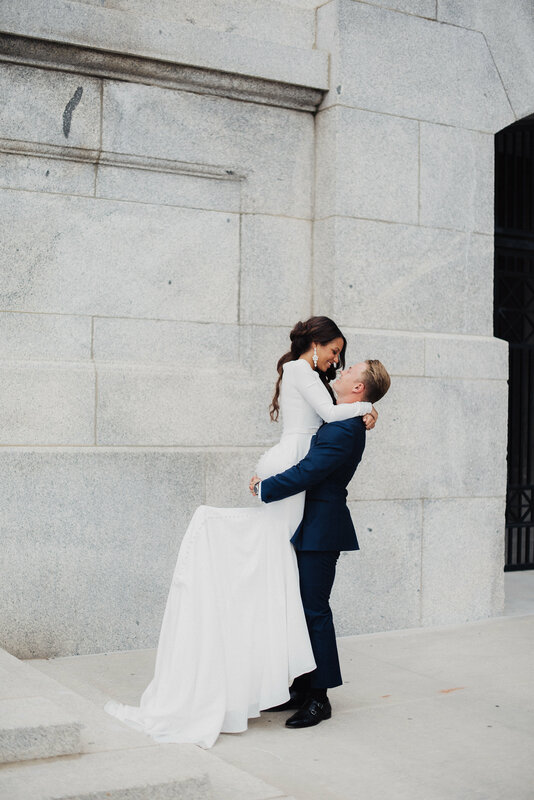 Our gorgeous bride Stephanie wore a long sleeve silk crepe, modest wedding dress by Canadian designer, Mikaella. This high-quality fabric does an amazing job defining curves and makes this incredibly comfortable to wear all day. 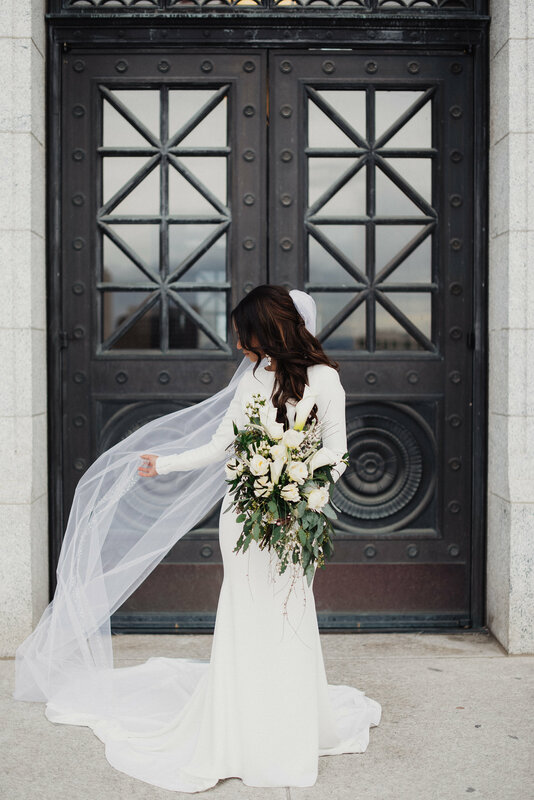 Although this gown is typically an open back, Stephanie decided to make it modest. 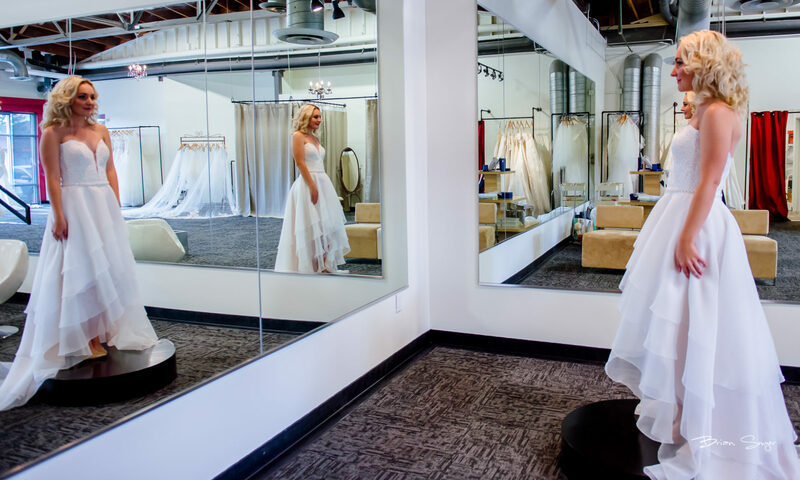 This designer is very bride friendly and is able to send gowns already built up. Stephanie ordered the back filled in, so we could get right to work on molding it to her figure. Here is a peek at how elegant this gown looks in its original form. In addition to the bateau neckline, this gown features crepe fabric buttons that run the length of the train. These features, along with the jeweled belt and long sleeves, make this gown radiate a timeless and classic look. 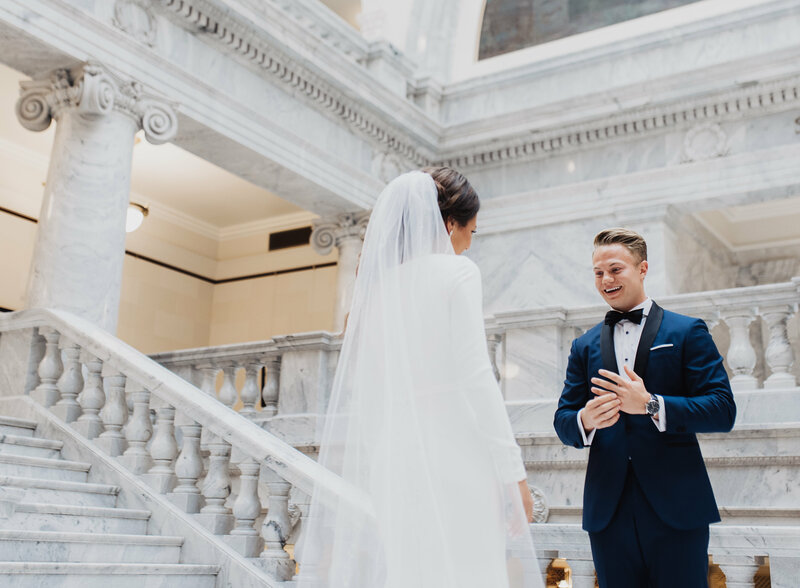 The talented Eden Strader captured this couple at the Utah State Capitol. To see this gown in person, schedule an appointment to come on in. Check out more Mikaella designs on our Pinterest!